Still not at all satisfied with the results, but that's the best I could do in iPhoto. These are exported JPG, but are unedited RAW files from my camera. Hard to describe how different these pictures are from what my eye actually sees. 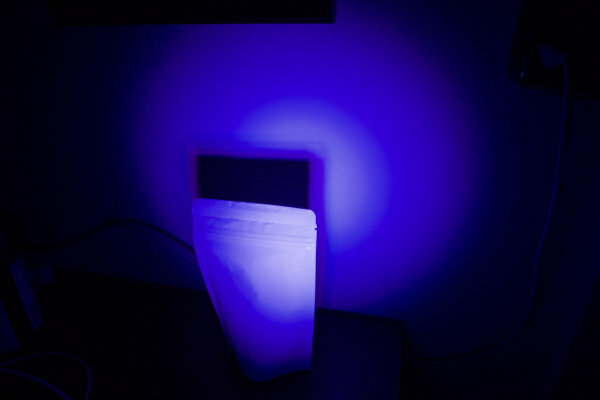 The white coffee bag in real life is not nearly as spotlight, the room is filled with light. 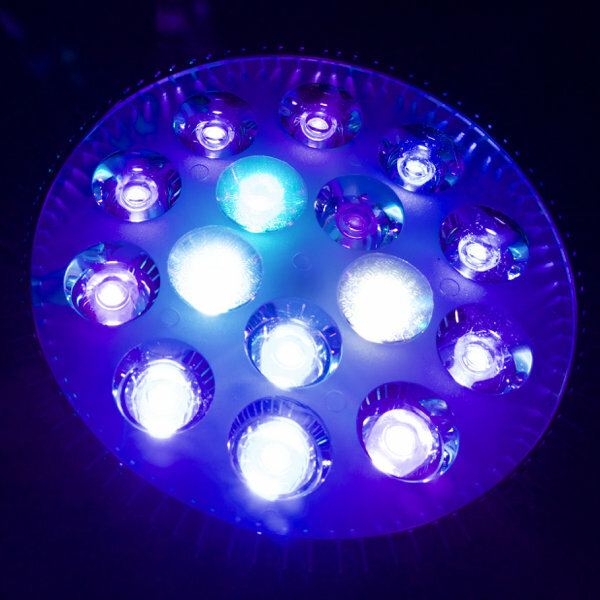 There's also a strong "disco ball" effect with many of the different LED colors breaking out, which for some reason doesn't show up at all in the picture which only seems to have captured the blue and purple. The shot of the bulb face is also very different. Most of the LEDs look way more purple than what I actually see. I'd say only one or two of them look even vaguely purple. I'm guessing these are the lowest wavelength LEDs which are UV or close to UV. Overall, I don't like very blue looking tanks. My eye perceives the tank as looking much less blue than what the camera captures. I may or may not still use the crappy white LEDs that came with the Penn Plax tank I bought. Will have to see how it looks once the full tank is set up. 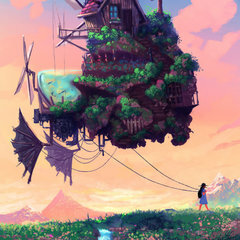 Thanks for reading, let me know what you think! Wow that's crazy. Would never have guessed 6" from surface would make that much of a difference. Yeah, the rock looks white, unlike the ambient light pic. I'm not sure what features iPhoto has, but you could reduce the brightness a bit. 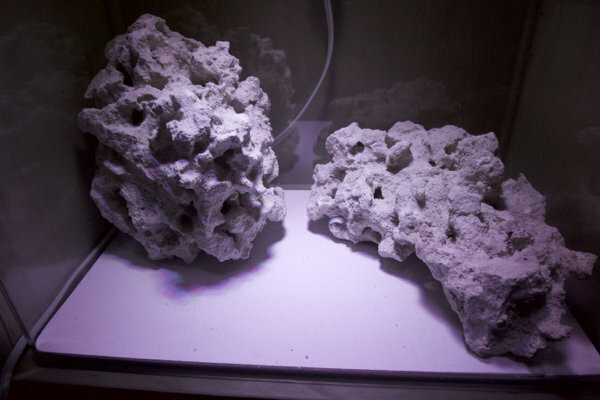 If possible, try adjusting the tint so that you can see some color on rock (while keeping the plumbing white). I find that letting the camera adjust white balance is a thousand times easier than adjusting JPG files manually. Does your camera have a custom white balance feature? I often get the best results when adjusting the white balance on something just outside the tank, then taking the picture. Yea I agree. The light is advertised as having 30° optics and that seems to be true. Every inch seems to make a huge difference, so finding the right height is going to be important. FWIW the 23w version has 60° optics. I wonder how different the PAR would be with the improved spread. Does your camera have a custom white balance feature? I often get the best results when adjusting the white balance on something just outside the tank, then taking the picture. Looks like I have some white balance options here, including an "Underwater Auto" and a "C-Temp Filter" which goes up to 9900K. Will experiment! What par meter are you using? The Apogee MQ-200. I know there's a new one with a better sensor, this is definitely the old one. If there is a custom setting, it will let you point the camera at something that should look white (or gray). Then you press a button so that subsequent pictures (taken using the custom white balance setting) will automatically use this adjustment. Afterwards, you can use a photo editor to make additional adjustments. BTW, what model of camera do you have? I'm using a Sony a5000. Hmm so I see now in addition to the option to set my own white balance, there's also an option to "capture data of central area of screen". This seems to automatically set the temp and tint sliders. 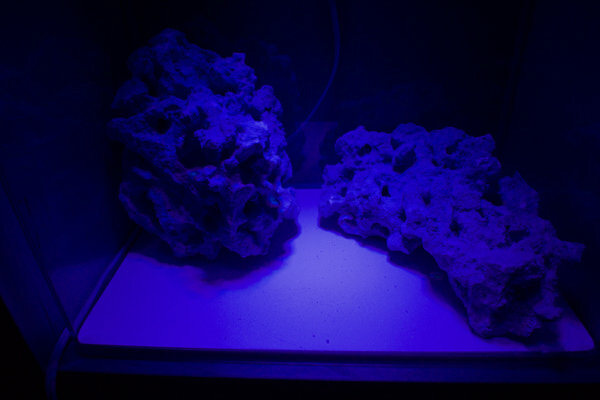 You're saying I should take a picture of something white, just outside of my tank (but still getting hit by the blue light), and the camera will automatically find the right adjustments? Thanks for the help! 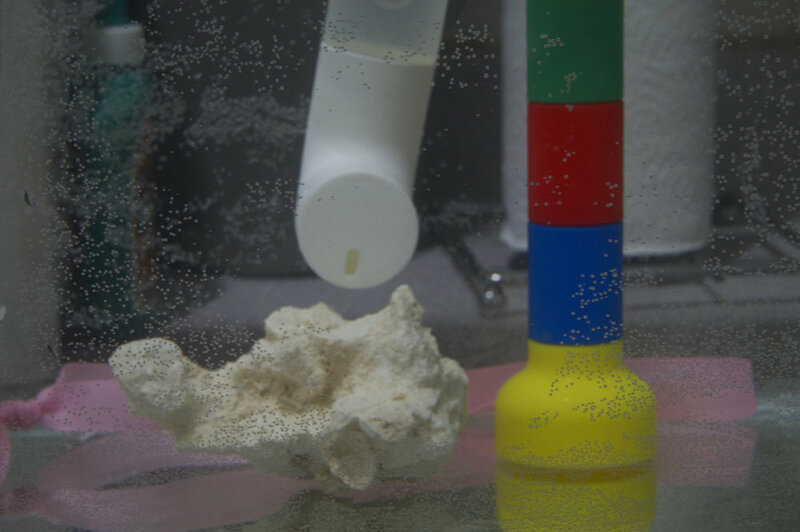 You can try pointing to the white sand, or even a piece of PVC placed in your tank. However, I've found that sometimes I get better color when using a piece of paper outside of the tank (but exposed to the blue light). Experiment by setting it with different objects in different areas. Once it's set, you should be able to get good pics without post editing. Very nice, thanks. Excited to... give it a shot! ? Once it's set, you should be able to get good pics without post editing. Neither of these look like what I'm seeing in the tank, but now I see the power of letting the camera handle the white balancing instead of wasting time using sliders in iPhoto. I'm a million miles closer to getting realistic photos. Thanks so much @seabass! 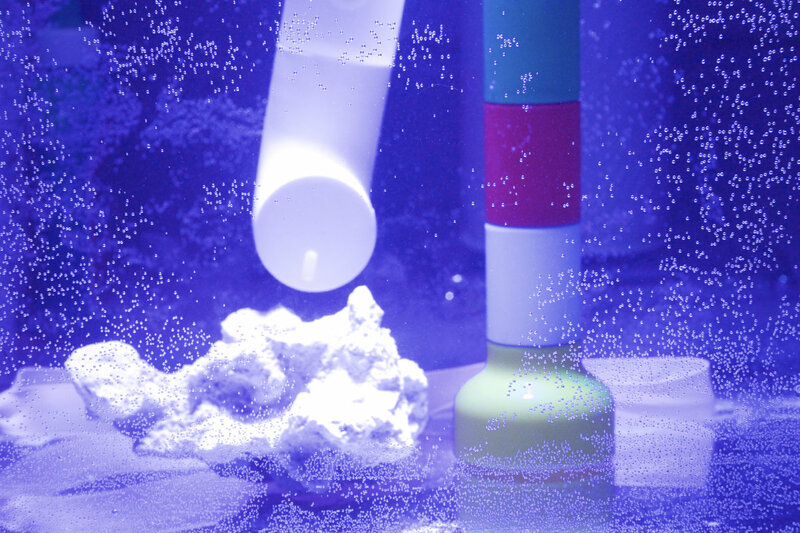 One more question, what affect does this have on filtering out fluorescence? You're very welcome. The before and after pics are sweet. It should look much better than pics using just ambient light. Sometimes I like having just a hint of blue. I know that my Canon will let me add some blue if I want; but I'm not sure about Sony. 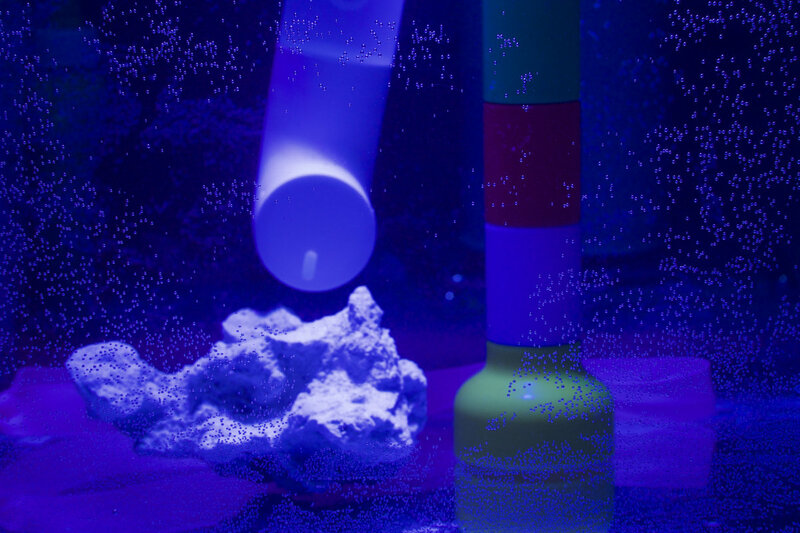 However, adding some white light while you set the custom white balance will result in just a blue tint when you remove the white light (kind of like what your eyes see when you look at your tank). Experiment with it bit. 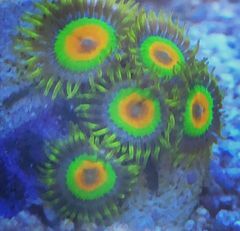 I’m looking at getting a tuna blue for an 8g, what kind of corals were you able to grow under your abi?? so, to help extrapolate the par readings at the different depth, can you put the minimum and recommended par levels for softies, LPS and SPS corals so we can really make sense of those numbers? @Friendly Is that the 23w ABI? I believe I read that the optics are also wider on that bulb, so very curious to test it out. Definitely happy to PAR check it for you, if you pay for shipping both ways! My guess is the USPS flat rate padded mailers would fit the bulb well. Light drops off with the square of the distance. So 12” is about 1/4 of what 6” would be. 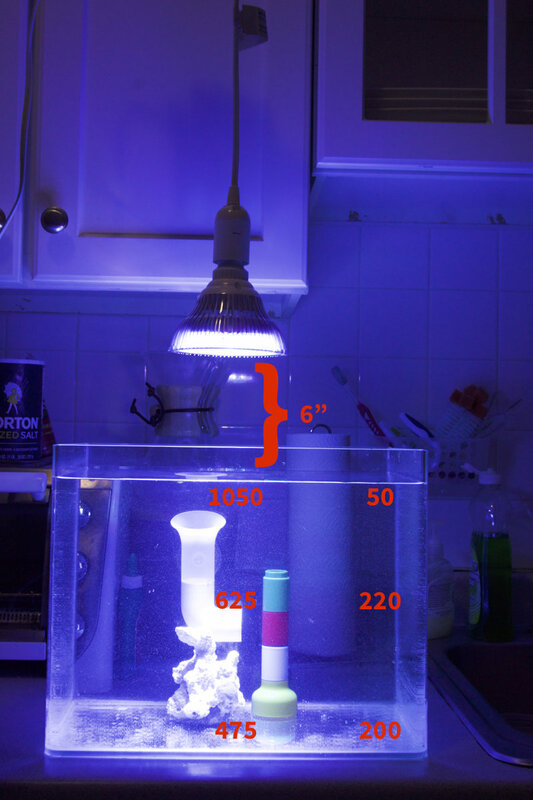 Ignoring the shadowing at the sides of the tank with the light lower, that is about what you were seeing, taking into account the accuracy of the meter, sensor, and repeatability of measuring the same exact points in both situations.